+ One minister emailed the entire congregation asking them to talk about the baptism of each person in their household before coming to church on this Sunday. Those stories formed a personal context for each worshiper as they explored baptism together during worship. 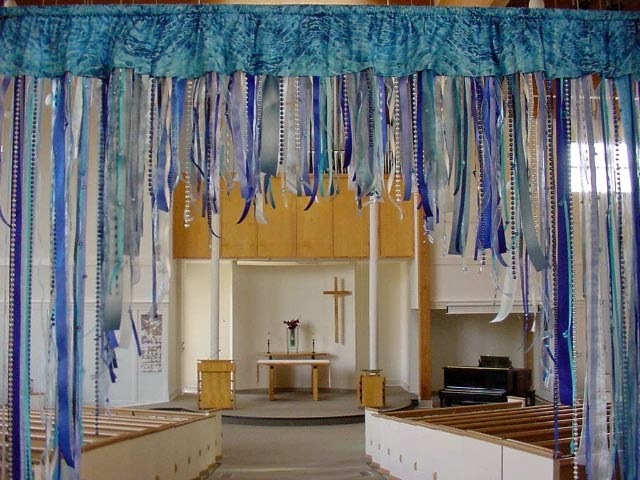 + If you hang curtains of blue ribbons in the doors to the sanctuary on baptismal Sundays, hang them today in honor of Jesus’ baptism. At the very least they provide an introduction to the story of Jesus’ baptism that connects his baptism to that of each worshiper. It is also a chance to suggest to worshipers that as they pass through those curtains every time they appear people can remember and thank God for their own baptism. In the charge and benediction, remind worshipers to do so as they leave the sanctuary today. If you have a children’s time, explain the baptism door and lead the children out the doors and back through the curtains to practice remembering your baptism and Jesus’ baptism as you do. + During the sermon walk through and comment on your congregation’s baptismal rite. Even use a doll and adult volunteers to take the various roles in both infant and adult baptisms. + Today’s texts particularly suggest reading and commenting on the prayer over the water in the ecumenical rite. Most children and many adults think of that as “the long baptism prayer” that gets in the way of getting to the main water event. 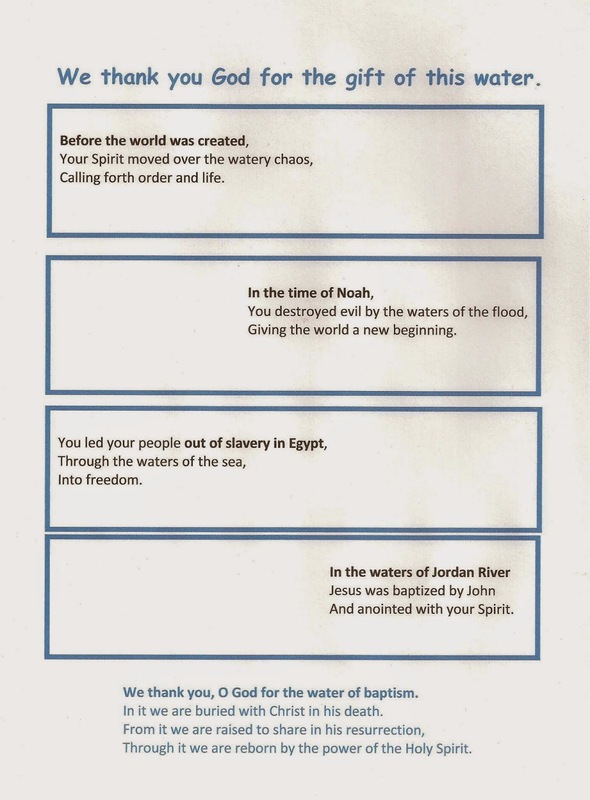 Take time to read through the prayer pointing out all the water references (God moving over the water at creation, God floating Noah on the flood waters, God opening the sea for the Hebrews to pass out of Egypt to freedom, and Jesus’ baptism in the Jordan). If you have pictures of the Bible stories, work with worshipers to connect the pictures to the phrases in the prayer. Ponder the mysterious way this water of our baptism connects us to and makes us one of all the people of God of all ages. + Or, challenge children to draw pictures to go with each water story mentioned in prayer. You might even use the simplified words on the worksheet in the prayer you pray aloud. + Invite the congregation to recall and celebrate their baptisms by coming forward, dipping their fingers into the baptismal font, and saying silently, “I belong to God,” “I am baptized” or some similar phrase. Some may want to draw a cross on their forehead with their wet finger. Baptism is like an invisible, un-removable tattoo - a real tattoo rather than a sticker. With that tattoo we belong to God and are one of God’s people. Some people actually recall this tattoo by having crosses tattooed on their skin. Those are cool, but not nearly as long lasting as the invisible tattoo of God’s love at baptism. 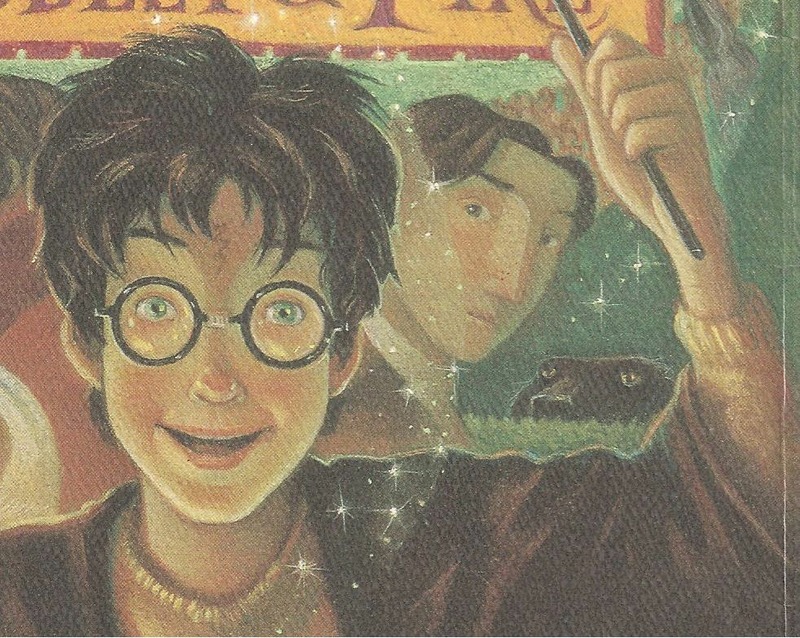 Baptism is rather like the lightning scar on Harry Potter’s forehead. Harry got that scar when his mother died to protect him. His mother’s love saved him. We are saved by God’s love which is most clearly shown us when Jesus dies on the cross to prove to us we are forgiven by God. + If you include renewal of baptism in the service and your congregation practices infant baptism, provide a chance for parents and the congregation to recall and renew their vows to the children. Parents can stand in place with their children to hear and answer the questions. This is an opportunity for children to hear their parents renew their commitments to them, for preachers to offer a few specific suggestions about how to keep those promises to growing children, and for parents to reclaim their commitments made to infants in the presence of those children as they grow. Follow it with time for hugs – or passing the peace, if you want to stay within the liturgy. “Child of Blessing, Child of Promise” - Read and comment on the words of verses 3 and 4 before the congregation sings the song. “Christ When For Us You Were Baptized” – To point out the connection of the first three verses to the story of Jesus’ baptism in Mark, give each child a sheet of paper with the hymn words printed in the middle. Direct them to underline all the things they hear in the scripture as you read it to them. Then challenge them to illustrate those things around the edges of the sheet. Invite them to post their sheets at an agreed upon place (baptismal font, altar rail, door to sanctuary, even your office door) at the end of the service. The reading could be done as a children’s time with the leader pausing in the reading to be sure everyone catches all the connections or it could be tied to the reading of the gospel for the day. In either case the congregation should sing the song shortly thereafter. + Water Come Down: the Day You Were Baptized, by Walter Wangerin, Jr. describes how sun, cloud, rain, wind, and water are involved in a child’s baptism. The idea is lovely, but a little over the top. The whole universe seems to revolve about the child rather than the child taking his or her place among God’s people and the universe. One way to use it in worship would be to read only the end of the book beginning with “Your family was there that holy day…”after walking through your congregation’s infant baptism rite. Can anyone point us to other good baptism books to read in worship to children? On the first Sunday of Epiphanytide, celebrate God’s first creation – light. 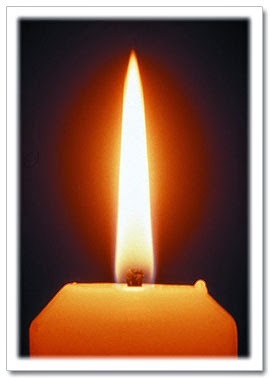 + Create an impromptu litany by inviting worshipers to name different sources of light. As each is named the whole congregation replies, “And God saw the light and it was good” or “Thank God for light.” Possibilities include the sun, stars, fire/campfire/fireplace/candles, search light, light house, flashlight, nightlight, light sticks, lightning, lightning bugs, and more. + Invite the congregation to walk through 24 hours of light with you. Start imagining a local sunrise, describe the natural light at different times of the day, and name some of the human-made sources of light used at different times of the day (e.g. the oven light to check progress of a meal being baked or lamps that give us light to read by at night). + Talk about all the candles used in worship throughout the year. If possible gather them all into a display at the front. Light each one as you identify it and its use. Include Advent candles, a Christ candle, the small candles used during candlelight services, the candles used every Sunday in the worship center, baptismal candles (if they are part of your tradition), and any other candles you use. + Sing “Morning Has Broken remembering the first day of creation after reading the Genesis text. + This psalm celebrates the power of the LORD. To emphasize that power, invite the congregation to join reading the psalm with one side of the congregation repeatedly asking “How strong is the LORD?” and the other replying with the verses of the psalm. Or, the choir could pose the question with the congregation answering. Group 1: How strong is the LORD? + To celebrate power of the storm power as it starts out over the sea, crashes into the mountains, then moves out into the distant desert add storm sounds to the middle verses , leaving verses 1-2 and 10-11 unaccompanied as reflections on the storm. Invite the whole congregation to become a sound orchestra tracing the storm. One section snaps their fingers (the sound of the beginning rain). A second section stands and slaps their hands on the backs of the pews in front of them (hard driving rain). A third section lightly rubs their palms back and forth (rain receding into the distance). A conductor rehearses each section, then directs them in and cuts them off as the whole congregation reads the psalm in unison. Or, accompany the congregation (or choir) in reading the psalm with a variety of percussion instruments (snares, maracas, several kinds of drums, a rain instrument, even a gong for the height of the storm). Percussionists will enjoy orchestrating themselves to follow the path of the storm. + Offer children a sheet of paper with the psalm printed in the middle. Invite them to draw storm pictures all around it. Especially those who live in the northern latitudes, may want to include blizzard as well as rain pictures. A poetic worshiper might even undertake writing a blizzard psalm that could be enjoyed by the whole congregation later. Suggest that worshipers put their posters somewhere where they can get them out when storms hit and they need to remember God’s power. + Rainbows are moments of grace. They are water plus light, also the aftermath of a storm (like Psalm 29). Does anyone know any appropriate rainbow books or songs? This is not the easiest baptism story for children. I’d focus on the baptism of Jesus in the gospel and the connections to it in the other readings for the day. The Roman Catholic and Episcopalian lectionaries use Acts 10:34-43 (Paul summarizes the good news about Jesus to Gentiles). That is the Year A text for the RCL. Go to Year A Baptism of the Lord. + Introduce the Gospel According to Mark. Point out that it was the first gospel written and is the shortest gospel. Explain that we will read almost every verse in Mark during the coming year. Locate it in the big pulpit Bible. Give children bookmarks to place at the beginning of Mark in their own Bibles or to put in the pew Bibles. If in the pew Bibles, they could follow the congregation’s progress through Mark during the coming year. + If you used a shepherd figure from the Christmas crèche to stand in for John the Baptist during Advent, display it again. In your own words remind worshipers of the details about John in verses 1-7 and his message from Advent. Then read verses 9-11. + Highlight the words from heaven. Point out that Jesus hadn’t said anything important, healed anyone, or done anything special at this point. But, God loved him. There is lots of pressure on even young children to succeed at all sorts of things today. Counter this pressure with the assurance that just as God loved Jesus from the beginning, God loves each of them. If your congregation baptizes infants, point to the fact that while they were just babies and didn’t even know what was going on, God, their parents, and the congregation loved them and claimed them as their own for all time. + Point out the different ways the gospel writers begin their stories about Jesus. End with Mark’s starting not with a birth story but with this baptism story. Insist that it is his way of telling us who this Jesus is. He is God tearing open the heavens and coming to earth. Celebrate this singing “You are Holy.” Click on the MP3 recording found on the page below to hear it in Swedish, English and Spanish. Laura, I just found your comment. Somehow it did not get attention earlier this month. Even though it is late for this year, I'm adding it to the comments - and am going to find a copy of the book which sounds great.